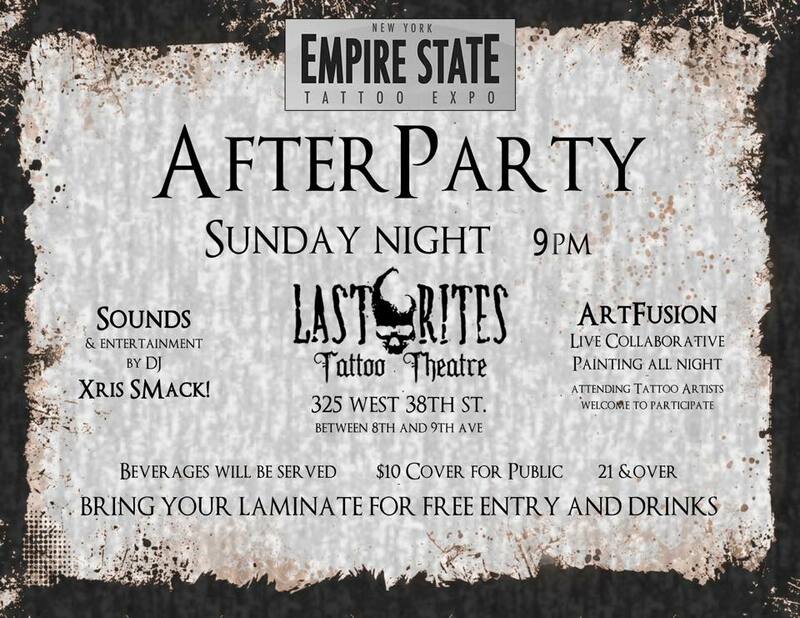 Join us this sunday here at Last Rites for the official afterparty of the NY Empire State Tattoo Expo! Here's a chance to meet and greet with many of the best artists in the world! Don't miss it! $10 cover for all else. Entertainment and beverages will be served. Sounds and Entertainment by DJ Xris SMack! :BodyMod, Last Rites Gallery, last Rites tattoo Theater, Paul Booth, Tattoo, Xris SMack!